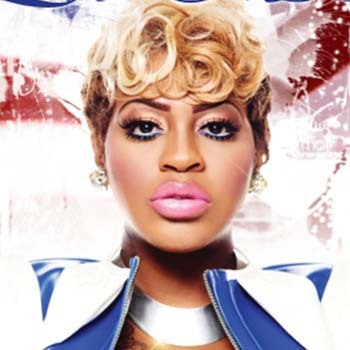 Lil’ Mo, who is also known as The Godmother of Hip-Hop and R&B, is a famous American R&B singer and songwriter. She is also active in radio shows. She was born on 19th of November 1978 in Long Island, New York, United States. As her parents were in military, she spends her childhood days in several parts of United States. Her net worth is estimated to be around $250,000. Her debut album Based on a True Story was released in 2001. In 1998, she was in the Lilith Fair musical tour. She has been married three times in her life. She was first married to Al Stone and then with Phillip Bryant in 2008. She is now married to Karl Dargan. She is the winner of BMI Pop Music Awards in 2002. She is having long disputes with her former associate Ja Rule since 2001. J-Boog is a singer and songwriter. He is famous for his albums like Hear Me Roar and Backyard Boogie. In 2013, he released a mixtape under the title My Diamond Life. Cher Lloyd is a beautiful English singer, rapper, model and songwriter. She rose to fame when she finished fourth in The X Factor seventh series. She is also famous for her single “Swagger Jagger” and “With Ur Love”.